Summer comes and goes pretty quickly around these parts, so over the past few weeks I’ve been doing my best to enjoy all the small pleasures of warm and sunny days. Usually this is the time of year when the travel bug hits me and I start planning weekend getaways in my head, but this year that’s been mitigated by the fact that I have extensive plans for late August and September. For now I’m content to be here and take the days as they come. Summer means I get to cycle to work every day, which still feels like a shiny and exciting novelty. I think cycling makes me so happy because it’s a skill I didn’t have at all until a little over two years ago — and it’s only been a year since I started feeling confident enough to do it in a busy city. So when I ride my bike every morning, I’m reminded that I can learn new things, even if they once seemed unreachable. Sappy as that sounds, it does cheer me up. Summer also means cups of tea in my garden in the evening, plus taking advantage of the fact that I work in town by making a point to actually leave my library at lunch. There’s been a lot of reading in the park lately, of hastily eaten ice-cream before going back to work, of excursions to the market where the small pleasures of summer are all around me: the lemonade stand; fresh blueberries for my porridge; ripe peaches whose smell then permeates my kitchen; strawberries, strawberries, strawberries. In other words, lately I’ve been mostly managing to remember that there’s a counterpoint to life’s challenges and hiccups. Also, I have a lot to look forward to in the near future: last weekend I booked Edinburgh Fringe tickets, and it was such a pleasure to go through its seemingly never-ending listing of shows again after three years away. I also tried a few new dishes, which is something I hadn’t had the energy or motivation to do in a very long time. I highly recommend both these nachos and this halloumi, watermelon and bulgur salad. “Legend of Korra” will live on as a Dark Horse comic. Cue happy dancing. Despite my complicated feelings about this series (mainly because of its absolute trainwreck of a political subtext), I loved the characters and the world, and the ending left me wanting more. I can’t wait to read this. Korra creator Bryan Konietzko previews new graphic novel Threadworlds (! ), plus Michael Dante DiMartino announces comics trilogy Geniuses. I want them both noooooow. Even more exciting: a new Noelle Stevenson project! Eisners 2015: ALL the awards for Lumberjanes! Also very happy to see Gene Luen Yang, This One Summer, El Deafo and Emily Carroll recognised. In case you want to do further damage to your TBR pile, here’s a list of Five LGBT Comic Books Out Now. Zodiac Starforce sounds awesome, and this Favorite Comics of 2015 post at Panels further convinces me that I need Jem & the Holograms in my life. Of course, all this excitement doesn’t mean everything is puppies and flowers. James Robinson’s Transmisogyny is a Black Eye for Image Comics. Moving on from comics, I love this archive of historical radical political posters. Stressed, angry and demonised: council staff in austerity Britain. On a similar note: Greece is the latest battleground in the financial elite’s war on democracy. I’ve mentioned before how much I’m enjoying Deborah Cameron’s blog, but as she continues to post excellent essays I have no choice but to do it again. I’ve wasted so many hours of my life feeling inadequate about my communication style. I wish I could have them back. Shirley Jackson Reading Week starts tomorrow! 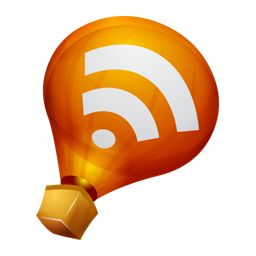 My contribution should be up on Friday, but you should definitely stop by Jenny’s and Simon’s blogs in the meantime. And to celebrate, here’s an interesting essay about Jackson: The Queen of American Gothic. Lastly, I’d somehow managed to miss this John Darnielle cover of “Power in a Union”. Discovering it genuinely made my week. The political and financial situation of Greece is one of the worst attacks on equality and human rights I've witnessed in my whole life, especially because it's coming from a supposedly democratic system. These people have elected themselves champions of morality in order to keep the poor where they think they should be: under them. And only a handful of people seem to care! Being from Spain, I am doubly worried about the outcome, and yet people around me defend the IMF and the German government. Austerity policies have a history of worsening everything and ending up in wars and revolutions. I honestly can't understand why we can't learn from the past. Is it a lack of empathy maybe? I'm sorry for the tirade. It's an issue that keeps me up at night. "Austerity policies have a history of worsening everything and ending up in wars and revolutions. I honestly can't understand why we can't learn from the past." Ugh, I know, I know :( I've been losing sleep over this as well. And NO SORRY. This blog is and will always be a safe space for venting about neoliberalism *hugs* I think more people than we realise do care, though, and I see little signs all around me that together they (we) are starting to find the courage to speak up. I take comfort in that. I'm glad that things are feeling a little more balanced for you. I envy you your lemonade stand. Lemonade is my favourite. Also: mmmm to fruit and nachos and guacamole and halloumi (which I've never actually had but am very much in favour of). It's so good! I had the classic last week, but they have different varieties and I want to try them all. Summer's easier in the UK than it was a home, because we get the (occasional) sunshine but not the oppressive heat. All my summers of barely daring to leave the house in August have left their mark :P The fruit really is the best no matter what, though. Sounds like you've been having a wonderful summer so far. I also love strawberries, and I am eating them like they are going out of fashion. 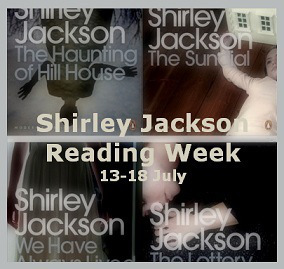 I look forward to seeing your contribution for the Shirley Jackson Reading Week. I recognize that your feelings about summer are valid vis-a-vis the climate in which you live, but I nevertheless glower at you a teeny weeeeeny bit for wanting more summer. Summer is too much for me BY A LOT already, and it's only mid-July so at an optimistic estimate, it's going to be lows in the 80s for another two months. I have so many tabs with comics open in my browser right now. Thanks! And goooooooooodness I want some nachos now. And sorry, but I am soooo ready for Autumn. It was 100 yesterday. One hundred degrees. I melt. I absolutely know what you mean about the small reminders that we can, and do, learn new things. I used to be terrified of driving, and I feel a small sense of satisfaction in conquering what once felt impossible whenever I get behind the wheel.